Size of this preview: 800 × 588 pixels. Other resolutions: 320 × 235 pixels | 640 × 471 pixels | 1,024 × 753 pixels | 1,095 × 805 pixels. This image shows some kind of simple graph/chart that could be converted to a Wikichart. Storing graphs or charts as images makes it harder to change (correct or translate) them. Wikicharts also help making sure to be consistent in font and size. This image requires updating because: Make this 2-d to avoid distotion In doing so, you could add a timestamp to the image. 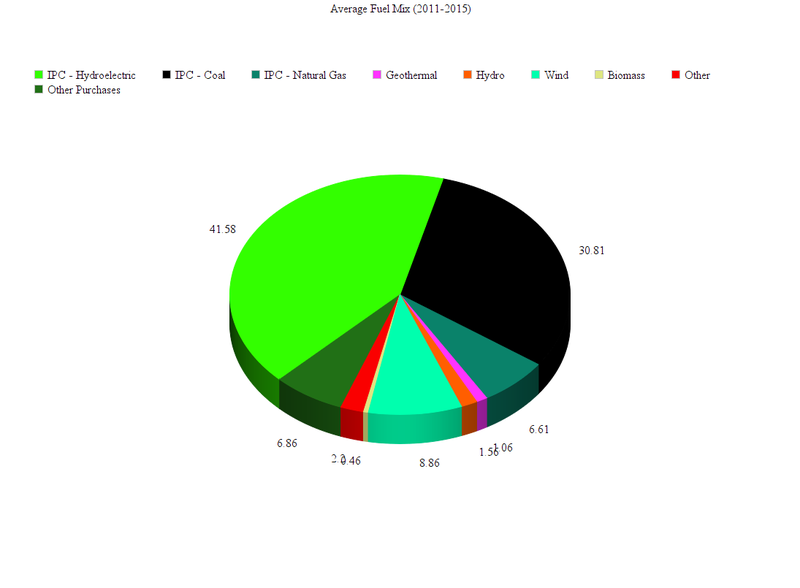 English: The fuel mix for Idaho Power's resource portfolio under average conditions is shown.